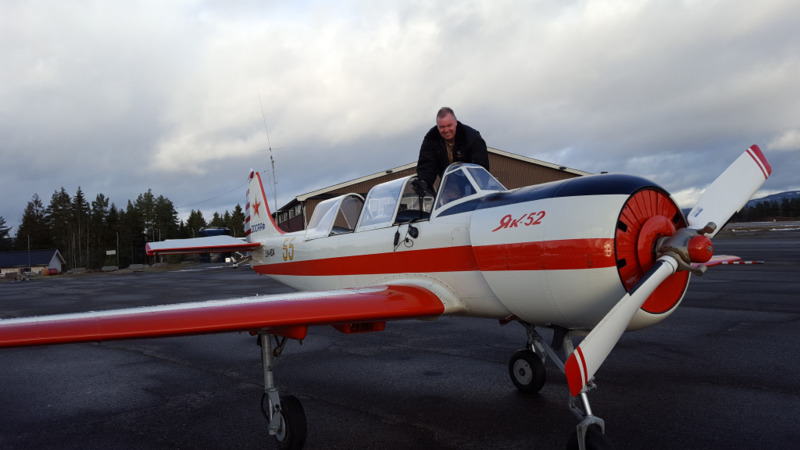 Yak 52 er en military ab initio trainer designet av Yakovlev Bureau i Moskva. Bortsett fra et par prototyper, er samtlige Yak-52 bygget på lisens siden 1979 av Aerostar SA Bacau, Romania, og produksjonsnummer etter 1990 heter også Aerostar. Flytypen er fortsatt i produksjon, og en ”vestifisert” versjon er i tillegg kommet (52W). Flyet er fullt og helt bygget etter metrisk system, og samtlige instrumenter er også det. Dette er ikke noe problem for oss i Norge, mens amerikanske kjøpere har større problemer i forhold til km/t osv. The Yakovlev Yak-52 is a Soviet primary trainer aircraft. It first flew in 1976 and is still being produced in Romania, by Aerostar, they gained manufacturing rights under agreement within COMECON socialist trade organisation now defunct. 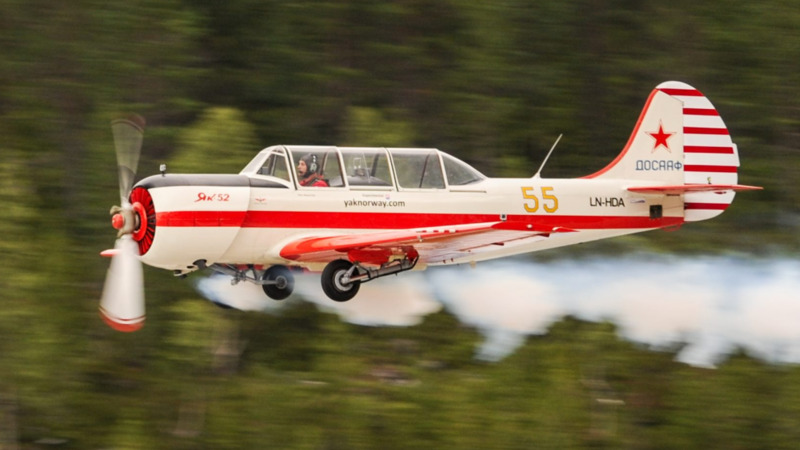 The Yak-52 was designed originally as an aerobatic trainer for students in the Soviet DOSAAF training organisation. That organisation trained both civilian sport pilots and military pilots. 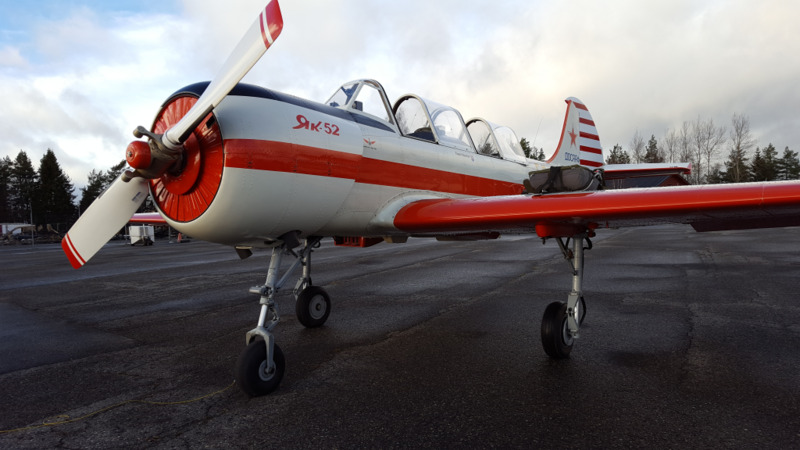 Since the early 1990s and the fall of the Soviet Union, many Yak 52s have been exported to the west. Of the approximately 1,800 produced to date, most now fly in the United States, United Kingdom, New Zealand, Australia and other western countries. 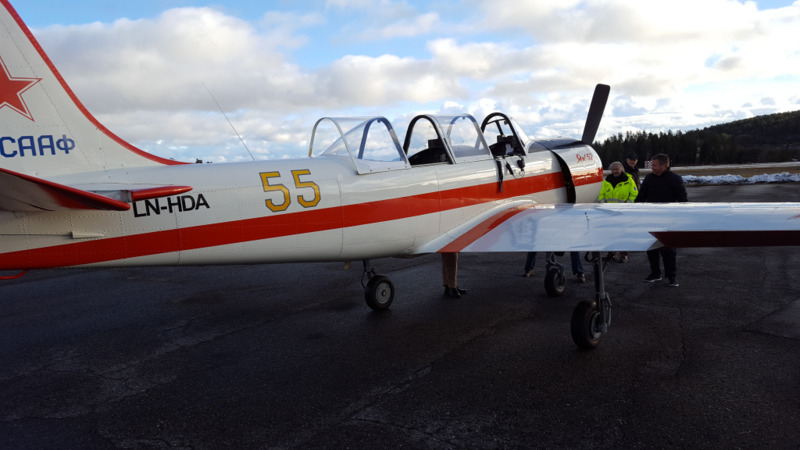 A descendant of the single-seat competition aerobatic Yakovlev Yak-50, the all-metal Yak-52 is powered by a 360 hp, 9-cylinder radial engine, the Vedeneyev M14P. The aircraft has inverted fuel and oil systems permitting inverted flight for as long as two minutes. 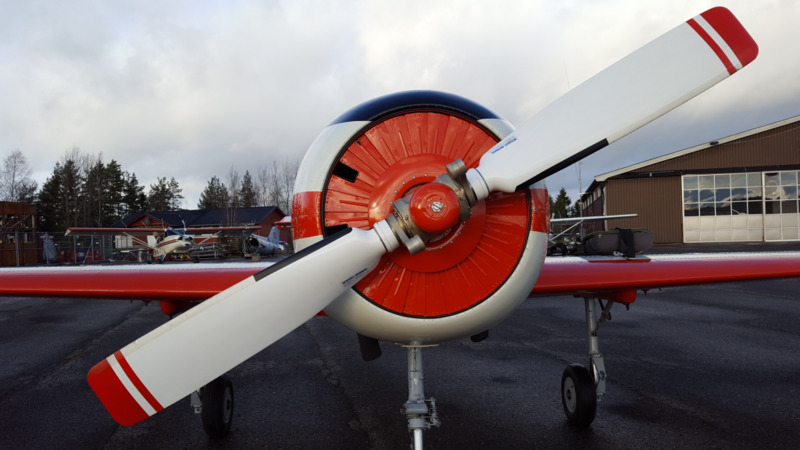 The engine drives a two-bladed counter-clockwise rotating, constant-speed, wood and fiberglass laminate propeller. 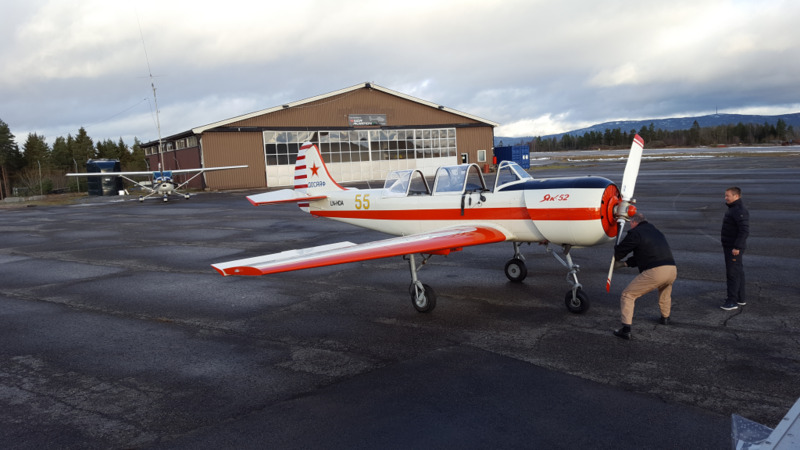 At 2,200 pounds empty weight, the Yak-52 is responsive and very capable as an aerobatic aircraft. Yet it is also easy to fly and land. It has been used in international aerobatic competition up to the Advanced level. It is stressed to +7 and -5 Gs, rolls (to the right) at 180 degrees per second and is capable of every manoeuvre in the Aresti catalog. The Yak-52, like most Soviet military aircraft, was designed to operate in rugged environments with minimal maintenance. One of its key features, and a radical departure from most western aircraft, is its extensive pneumatic system. Engine starting, landing gear, flaps, braking and steering are all pneumatically actuated. Spherical storage bottles for air, replenished by an engine driven compressor, are situated behind the rear cockpit and contents displayed on the instrument panels. The operating pressure is between 10 and 50 bars and an emergency circuit is reserved for lowering the undercarriage if the normal supply is exhausted or the compressor fails. Additionally both main and reserve bottles can be charged from a port on the ground with compressed air, usually from a SCUBA type air bottle. The steering/braking arrangement, especially, takes some adjustment for flyers accustomed to hydraulics, because the plane uses differential braking controlled by rudder pedals and a hand operated lever on the control stick. The tricycle landing gear is fully retractable, but it remains partially-exposed in the retracted position, affording both a useful level of drag in down manoeuvres and a measure of protection should the plane be forced to land "wheels up." Curiously the main wheels retract forward into the slipstream. 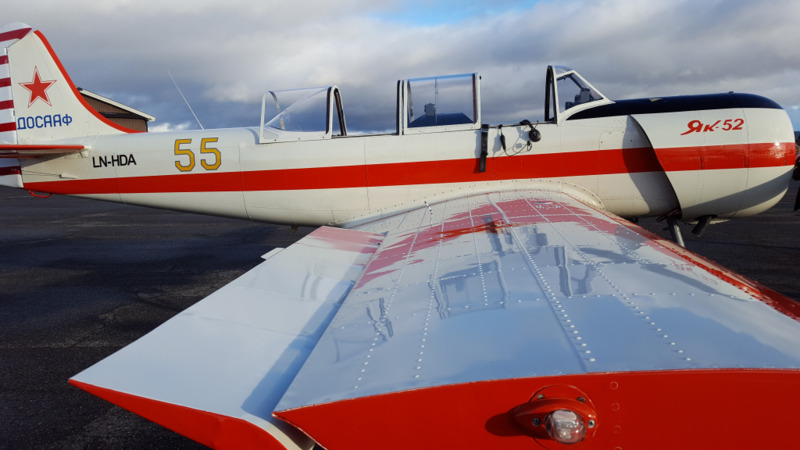 A number of "westernised" versions of the Yak-52 are now produced. 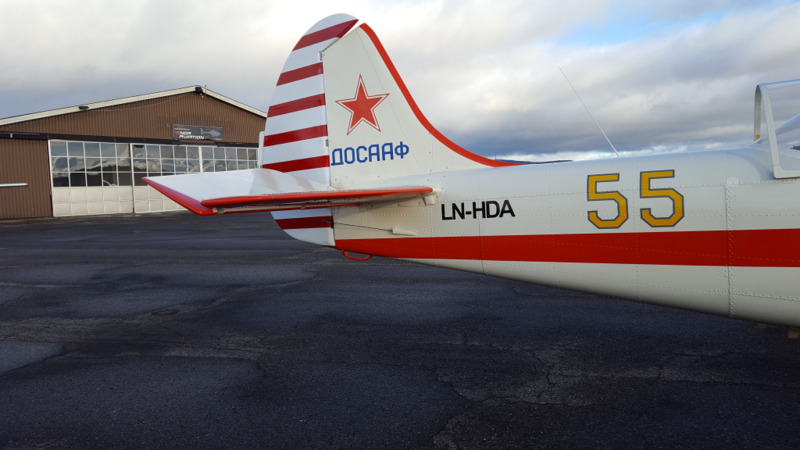 The replacement of the existing Soviet avionics, fitting of a three-blade aerobatic propeller (Yak-52W) and conversion to conventional "tail-dragger" landing gear (Yak-52TD) are the major modifications to the standard aircraft. 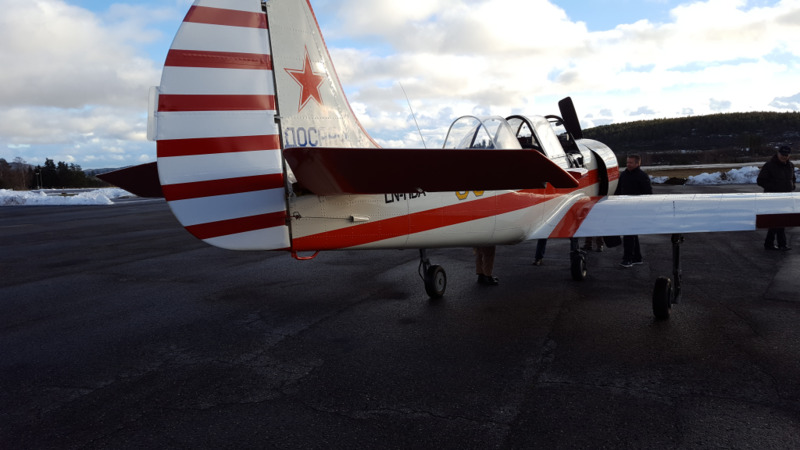 There is also a factory produced Yak-52TW tail-dragger version which looks like a small Yak-11.